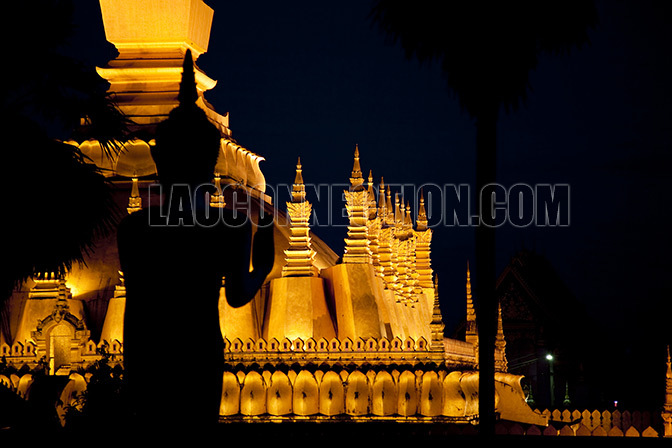 Some of the best photos of Laos we've been able to showcase here on our blog have been photos taken at night or at sunset. Here's one taken in the middle of the night in Vientiane with no other visitors or tourists around. In the foreground, the outline of the Buddha statue looks over the Tat Luang that's all lit up.